Mexican outfit Club Santos Laguna don’t have anything like as lengthy a history as their Brazilian namesakes (the club was only formed in 1983), but maintain a large fanbase in their native country. Lots of fans mean lots of commercial interest, and we’re quite taken by the ad campaigns launched by club sponsors Puma (new kit) and Pepsi (limited edition drinks cans). 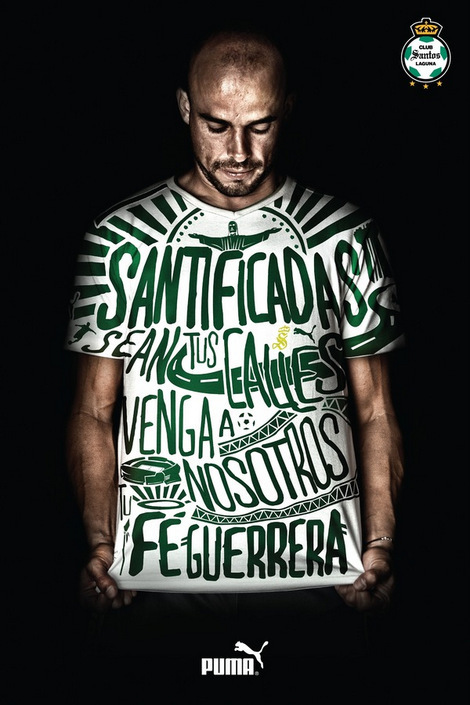 Both projects have been steered by Mexico based art director Maricio Serna. We expect you’ll be seeing more of his work at a club near you soon.